The IKEA Home Planner has significant problems. We even wrote a book about the problems it will cause you! The Planner by itself generates a list for you that is incomplete and will most likely lead to a trip back to IKEA. The IKD final design package will give you the complete IKEA item list. You’ll also get a high-resolution color rendering and detailed drawings with cabinet and wall measurements. Take a peek here. To make it even easier, we upload your design to your IKEA Home Planner account. That will generate one list for you. But we also give you a second list, the “extra items” list that we put together manually, item by item, so you’re sure to buy everything you need in one shot during your visit to IKEA. Get ready for your workout. Time to pick up the pieces of your new kitchen. Here’s what we recommend you do. Wear comfortable shoes and clothes. Dress like you’re working out. Take your vitamins, eat your breakfast, and bring a big bottle of water. Believe it or not, all that waiting is exhausting. To say nothing of the frustration you may experience if you find out IKEA is out of certain items. Bring another person. You’ll need moral support! Hire a babysitter for the day – but don’t bring the kids! Småland is great for short trips, but this will not be a short trip. Now that you’re physically prepared for your trip, here’s what you need to do in the store. First you’ll have to visit the kitchen department so staff can convert your Home Planner file into a shopping list and check availability for all the items you need. We recommend taking the extra step of having IKEA add in our special “extra items” list. That way you’ll know immediately if they’re out of something. Next, get comfy and wait while IKEA staff pick out your items. IKEA staff have up to 2 minutes to pick each piece of your kitchen out. Take a look at the list they gave you and multiply that by 2. Then, consider the fact that there are other people ahead of you…so be comfy. I’ll let you in on a secret: not all IKEA stores work the same way. That’s because the stores operate as independent franchises. So while one store may offer picking service, another may not. Find out ahead of time. 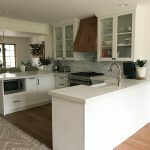 You’ve probably figured out right now that shopping for the kitchen will be one of the more challenging aspects of seeing your IKEA kitchen come to life. Don’t get discouraged! If you follow our tips, you should have only a few hours of difficulty. And the reward is well worth it. For those of you who have already shopped for your IKEA kitchen, what other secrets could you give our readers to make their trip easier? 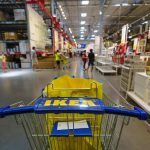 If an IKEA store is out of stock of certain items, can they be ordered in from another store if you’re having your kitchen delivered?